Thank you Timberline Partners in Education! Community engagement is a key to successful student learning. North Thurston Public Schools Partners in Education (PIE) program helps bring schools and businesses together through volunteering and student support activities. The PIE program is designed as a partnership between a school and business to cultivate positive relationships that benefit education and student learning. Friday, April 26th 2019. Admission: $5.00. Congrats to The Blazer and CTE Journalism students on the prestigious award! Congratulations to junior Analisa Allen who took 1st place in the State for the August Wilson monologue competition at the Seattle Repertory Theatre. An essential part of the NTPS community are our military families and this April we are encouraging everyone to wear purple on Fridays to show support and thank military-connected children for their strength and sacrifice. All over the District, from essay contests, ribbons, high fives, and more, we appreciate and celebrate these young heroes. Student Artists! We are looking for artwork for next year's calendar! Calling all student artists! 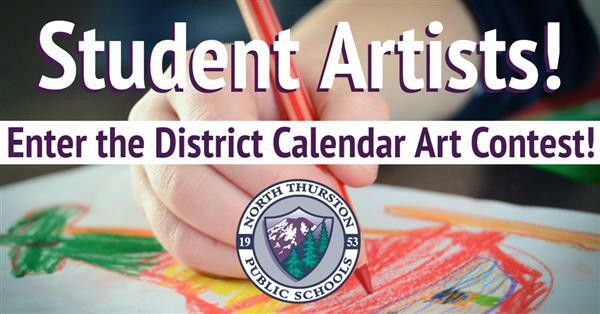 Enter your art in the Calendar Art Contest and see if your art is selected for the 2019-20 NTPS Wall Calendar! If selected, you'll win a gift card to Michael's Crafts! See the contest rules, and download your application and get creating! Preparing all students for rewarding careers, fulfilling lives, and compassionate global citizenship.